The SureBind System 1 Strip Binder is ideal for businesses that require documents to be securely bound. 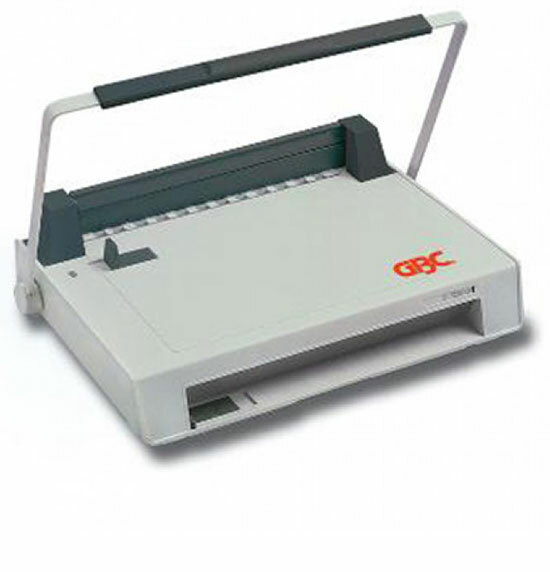 It combines a manual punch that takes up to 22 80gsm sheets with a powered binder that handles 200 sheets. It has a full-width handle for smooth, effortless punching. Secure binding is achieved by welding 2 strips together to create a permanent spine. The XMediusFAX© App is a solution allowing Xerox© ConnectKey© enabled multifunction printers to fax your documents securely through the XMediusFAX Cloud service. Print files from or scan documents to Office365. For print, the app includes support for Microsoft Office, PDF, Open Office, TIFF, JPEG, PNG, GIF, TXT, RTF, EML, XPS, PS and PCL. For scan, the app supports output formats of: PDF, PDF/A, XPS, TIFF and JPEG. Print files from or scan documents to Box. For print, the app includes support for Microsoft Office, PDF, Open Office, TIFF, JPEG, PNG, GIF, TXT, RTF, EML, XPS, PS and PCL. For scan, the app supports output formats of: PDF, PDF/A, XPS, TIFF and JPEG. With the Healthcare MFP app, you can securely share patient information with a HIPPA compliant clinical document exchange workflow - directly from your MFP. Using the Healthcare App, professionals can now transform paper into interoperable content from a Xerox® ConnectKey Enabled MFP. Scan and email your documents. This simplified scan services requires no email setup. Supported scan output formats include: PDF, PDF/A, XPS, TIFF and JPEG. You can use this App to link your Xerox® mobile applications with ConnectKey devices. You can also use the QR CodeApp to access information about related Xerox® Mobile Apps. Easily scan documents from multifunction printers to your personal collection on your DocuShare site. You can use this App to access, login, browse and download ConnectKey Apps from the Xerox® App Gallery. The Cloud-based Xerox® Easy Translator Service utilizes state-of-the-art technology to provide instant, draft machine translations or convenient access to professional translators via tour Xerox® multifunction printer (MFP), PC, or smartphone.. Simply scan the document using this app on your Xerox® ConnecKey® enabled multifunction printer and receive a translation into one of over 35 languages via email notification and/or print at the MFP. An account with the service is required to use this app. To register for an account, see your Xerox® Authorized Reseller/Channel Partner or go to www.xeroxtranslates.com. No license required for basic features. To use enhanced features, a Xerox® Mobile Print Cloud license is required. Office: G4 Cornwalls Centre, Gibraltar.